Growing up, my mom taught me two things you never discuss with someone – and even when they ask your opinion on the subjects, “tread lightly”, these two things are family and finances. Some cultures find it taboo to discuss what someone does for income, how they choose to spend their money and how much they have. While in other cultures it’s completely accepted and normal. I didn’t want to write this article. I still don’t want to write this article. But, alas, not writing it will just fuel the influx of questions from strangers, “How do you afford to travel?” “Hey, how do you travel so much?” I’m writing this article for the cultures, and people, who find it acceptable to ask, “How do you afford to travel?” Even though I believe what I choose to do with the money I have earned is absolutely none of your business, and also rather rude to ask a stranger. Let me start by saying, I can afford to travel because I work. And, not only do I work, I own two small businesses, as well as have my hand in a few others. (Check out JS Consults – one of the businesses I founded.) On top of having more than one source of income – all of the things that I do to earn an income are location independent, meaning I can do them from wherever in the world I deem desirable. Oh, and being self-employed makes it extremely easy to get ‘time off’ approved to travel. How big I smile when I think about how I used to spend over 40 hours a week behind a desk performing mundane tasks that made me feel inadequate. *Nusa Lembongan Island, Bali, Indonesia. 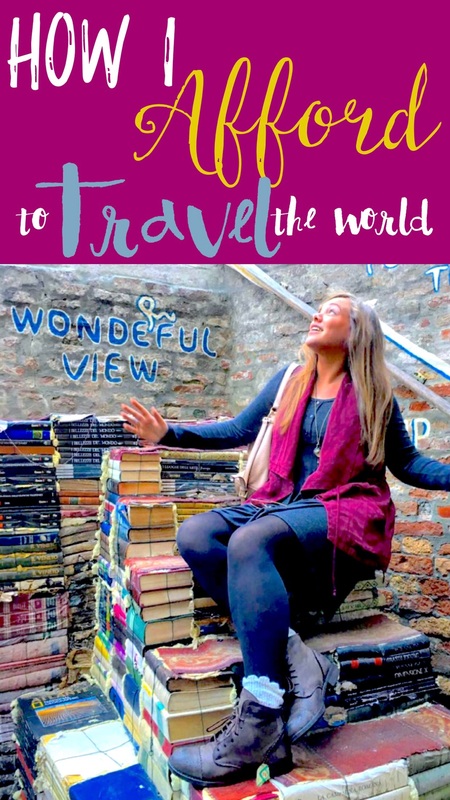 I developed a love for travel when I was a young girl but it peaked into a passion in 2013, the first year I traveled ‘a lot’ which was also around the same time that Instagram was becoming popular. 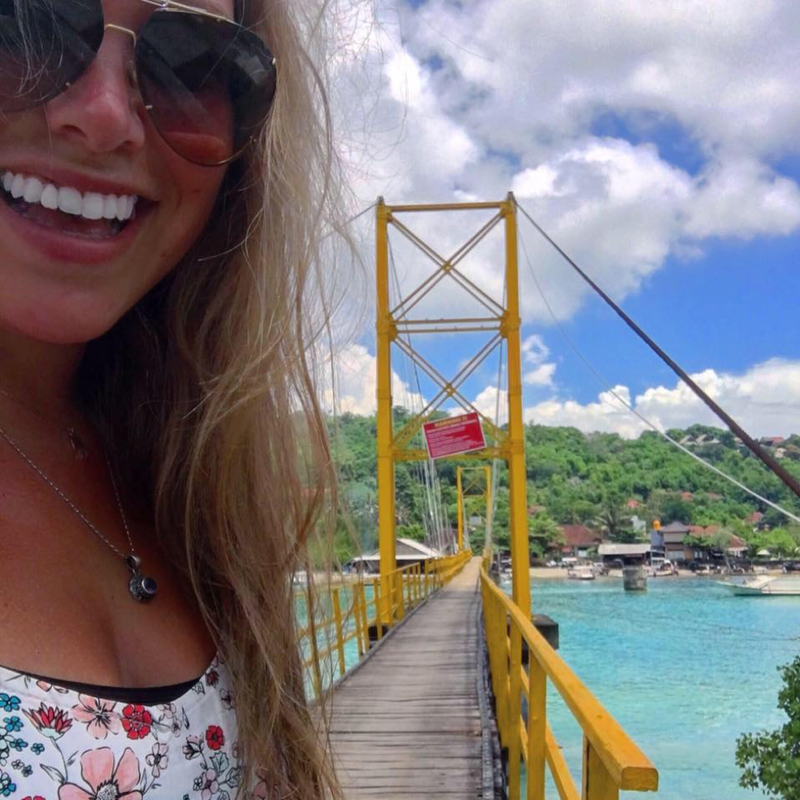 In 2013 I traveled, on my own dime, to Bali – Indonesia, Fajardo – Puerto Rico, Rome and the Amalfi Coast – Italy, Austin – Texas, and Miami and the Florida Keys – Florida. Towards the end of the year a friend was giving me slack for posting a ‘throwback’ from Bali to Instagram, on a Monday (gaaaasp! How dare I disobey the #ThrowbackThursday hashtag?!). To which I decided to start a page called “@GetLostWithJackie” and feature solely my travel pictures. How I feel when I realize I accidentally started a business just by trying to share a piece of the world with strangers on the interwebs. Venice, Italy. One of the businesses I own and operate is a small business consulting company that offers an array of services catering to small business – one of them being online marketing services. In strategizing for my own company, as well as for clients’ social media pages – I learned that gaining an online following is no easy task. So, when @GetLostWithJackie grew past 5,000 followers in my first few months of posting (consistent throwbacks) of my travel photos – I realized that it was much more than just a travel Instagram page. Trying to catch myself from falling when the reality of my life hits me like a ton of bricks. 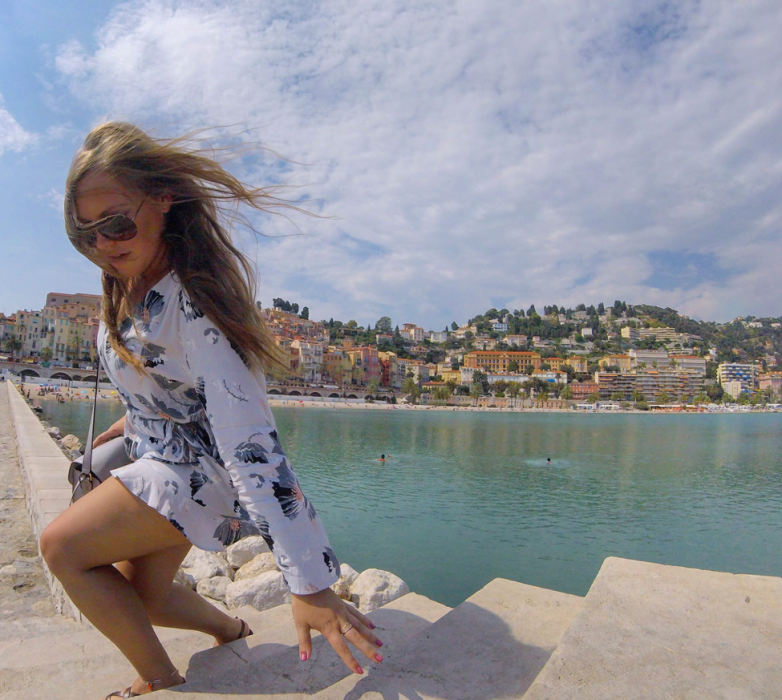 Menton, France. Since starting @GetLostWithJackie I’ve worked with dozens of travel brands, product companies, tourism boards and more – some even on paid campaigns for traveling. 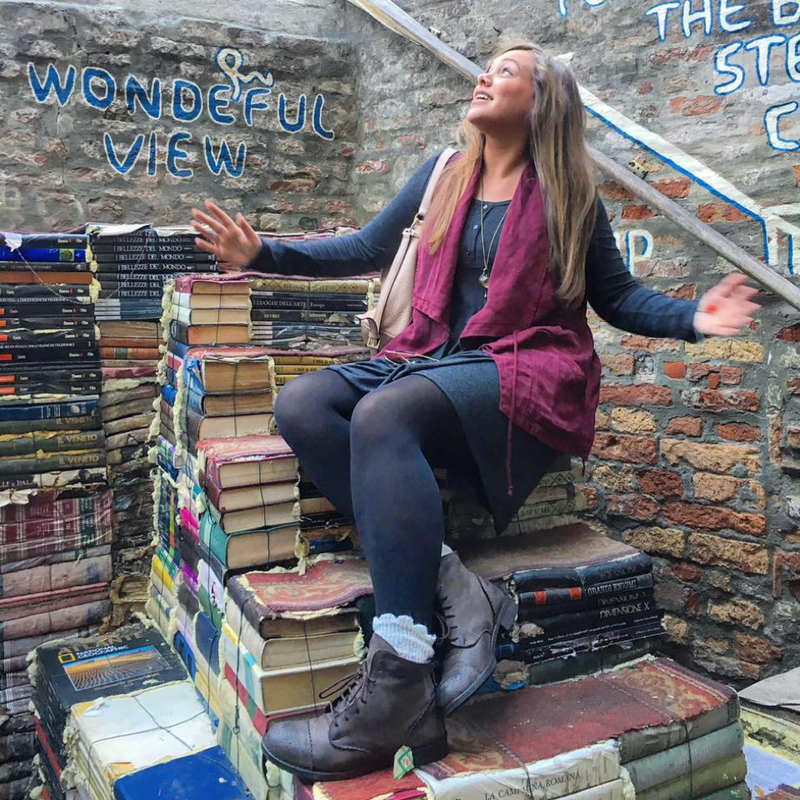 Yes, you read that right – brands pay people like myself to travel. On every trip I’ve taken in the last two years I’ve collaborated with hotels, restaurants and tourism companies on things like free stays in luxurious places, complimentary meals and a seat on daily, weekly, or even two week long trips with cruise companies, photo tours and more. I also receive monetary compensation for some of the posts fans, followers, friends and family like and engage with online. If you ever see the hashtags #sponsored or #ad following a caption on my pages, I was paid for that content. Just reflecting on how beautiful life is as I snap a photo with the camera GoPro sent me to take pictures with to share on my social media accounts. More and more brands are switching their marketing budgets from traditional print, and commercial ads to social media influencer and blogger ads – which has revolutionized a lot of markets from fashion to food to electronics and especially travel. For the fraction of the cost of a traditional ad a tourism board can put together a press trip for a handful of bloggers and get real results. Fans and followers tag their friends in their favorite influencers photo excited because “six days!! !” until they’re going to the same location or because “this is the place I was telling you about!!!”. Yesterday, a young woman tagged her fiancé in one of my pictures and commented telling me, “We’re getting married there!”. The human connection social media has given to places is deeper than any guidebook or Google search. Product placement on influencer and bloggers pages is an extremely convenient way for brands to not only get a buzz going about their product – but also gain content of their product in some really awesome places! A brand can pay to fly a photographer to a location, pay for their room and board aaaand pay for their services a top of all of those expenses- or – they can pay an influencer or blogger to take that same product to a destination that they’re already going to – cutting the brands expenses, substantially. Dancing around as if I haven’t a care in the world – because I really don’t. The last piece of my “how I afford to travel” puzzle is that I have a minimal amount of monthly expenses and bills. I have no student loans (shout-out to affordable community and state colleges), no credit card debt, a car payment of less than $300 a month and a phone bill. I also cut my incredibly unnecessary monthly rent and utilities expense of around $2,000 (USD) by moving back home to my parents’ home (Ugh! At 27? I know, blasphemous!). The fact was, I was never home! I spend about 3 weeks at home for every 6 weeks abroad so I was quite legitimately just throwing money into a place where I can eat, sleep and shower. Now, I pay my parents a small fraction of my former rent payment in order to contribute to the household I’m back a part of. Floating like this was a salt water pool because I don’t have a dime of debt weighing me down. Travel has also never been more affordable than it is now and you don’t have to be a “travel influencer” or “travel blogger” in order to afford to travel. With websites like Air B&B or Couchsurfing.com the typical expenses associated with travel can actually cost less than staying home. Atop of that, budget airlines are popping up more and more and have cut costs on International flights by a small fraction of what they used to be. For example, when I first flew to Rome – with a stopover – in 2013 the flights were $1,200 roundtrip in economy. I recently flew in premium comfort (a step above economy but still a few steps below business class) from JFK (New York City) to Milan, Italy on a non-stop, roundtrip ticket for $389. (Shameless plug for my travel agent, Julio, at TomFlies.com). However, I still maintain that working is the way someone affords to travel. Before I was able to turn things that I’m passionate about into a source of income – I worked a series of customer service and commission based jobs in order to make the most income possible. With will and determination you can truly do what you put your mind to. 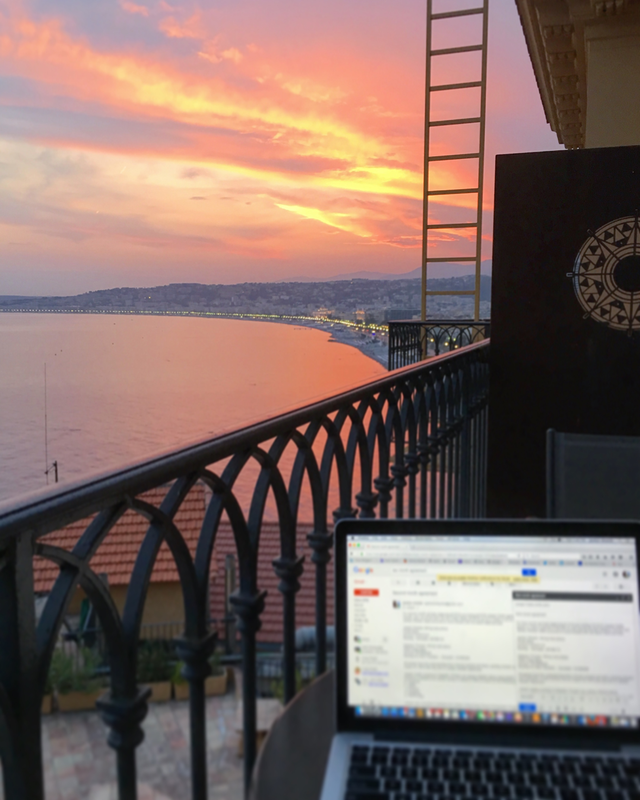 A recent office of the day I had in Nice, France. Yes, I have to work when I travel but when the view is this good – do I care? NOAP. This is really insightful – way more so than the ‘I just saved a bunch’ faux-inspirational stuff out there. I’m working towards pulling away form corporate life and easing into remote/self-owned work. I’m realizing (largely from stalking the FTB feed lol) that diversification is super important – not just sponsored trips and affiliate programs. Really, really helpful read!! YASSSSS KATIE YASSSS! Diversification is not only important monetarily (because what happens when you drop that basket with all your eggs in it?) but also for your sanity. Putting all of your eggs in the blogging basket sounds fun at first but when you’re reliant on it for income it can hurt the creative process and maybe even make you resent something you love. Thanks so much for taking the time to comment <3 feel free to reach out if you ever need any help!